Welcome back! We’ve had an exciting week. 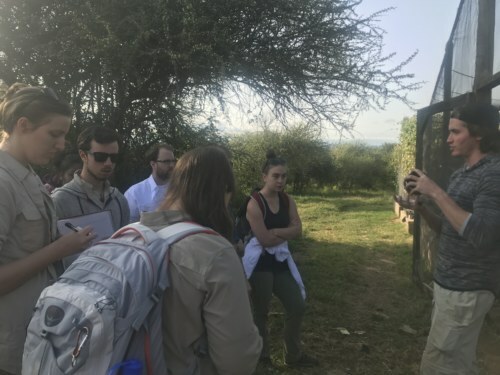 Our last few days at the Mpala research center were spent learning more about the savanna ecosystem surrounding us, and about the community that is a dynamic part of the ecosystem. 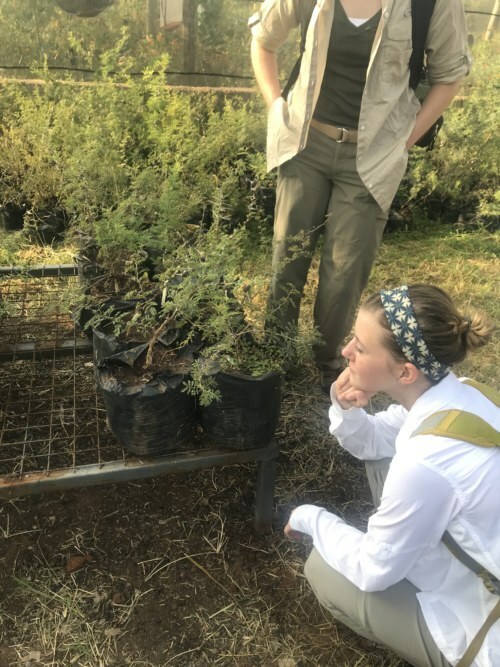 Wednesday morning, we went with Pat Milligan of the University of Florida to the greenhouses at Mpala to take a look at the research he has been conducting on the Acacia drepanolobium trees, also called Whistling Thorn Acacias. 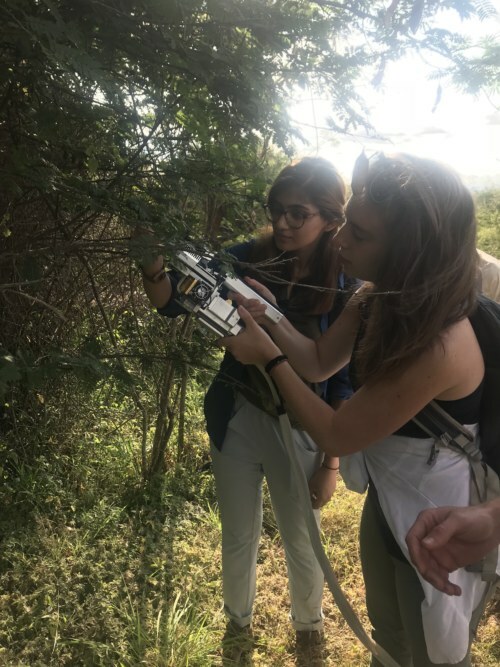 He showed us how he tests the dehydration level of trees’ leaves, and also their potential for photosynthesis, using a variety of equipment. 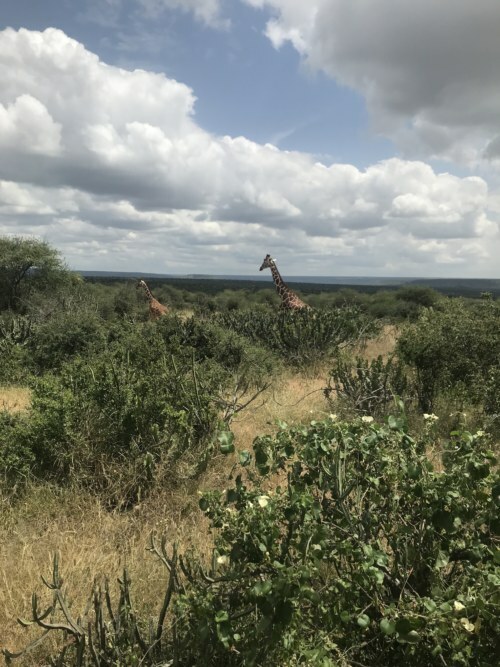 Later in the day, Pat brought us to an area of Mpala that is dominated by the Whistling Thorn Acacia, and we learned about the mutualism and cooperation that exists between the trees and several different species of ants. 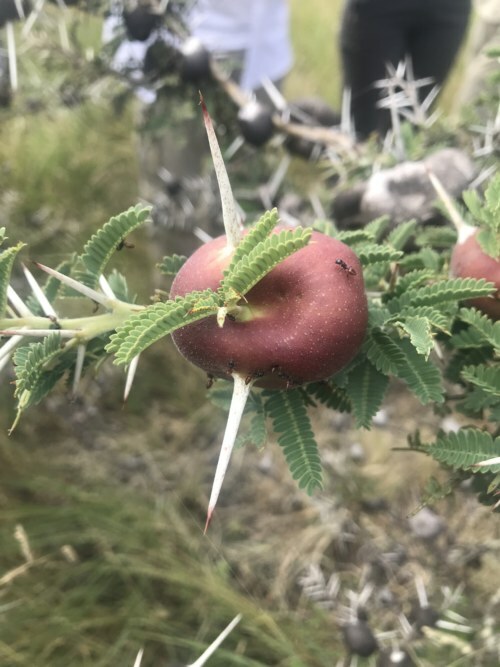 The trees provide nectar and shelter in the form of “swollen spines” to the ants, who in turn protect the tree from being eaten by aggressively swarming and biting any herbivore who attempts eating parts of the tree. 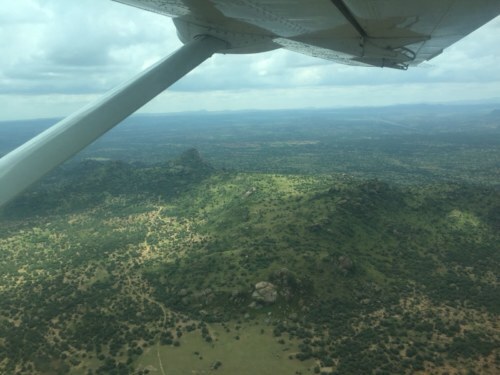 On Thursday, we all traveled to a place called Mukenya, a large “kopje” rock formation jutting out of the surrounding savanna about an hour and a half away from Mpala. 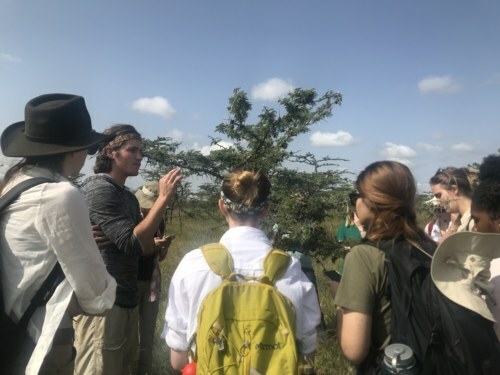 We climbed up to the top and were treated to a lecture from Field School Director and instructor Dr. Jason Lewis about the reconstruction of environments from the past. 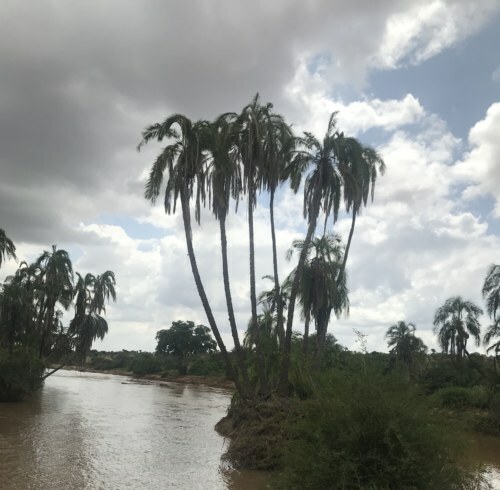 We then hiked back down and drove on to a confluence of two rivers to have our lunch under a giant fig tree. 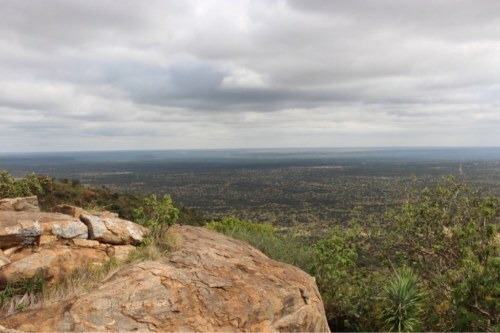 After we got back to Mpala, the rest of our day was spent preparing for departure to Turkwel. 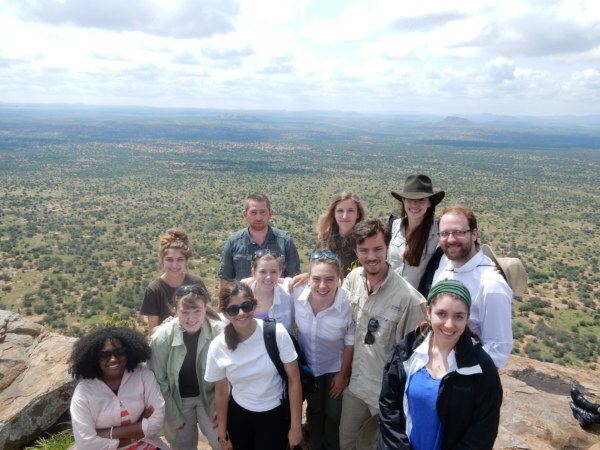 Friday afternoon, the students left Mpala in our own TBI plane and flew up to the TBI campus on the Turkwel river. 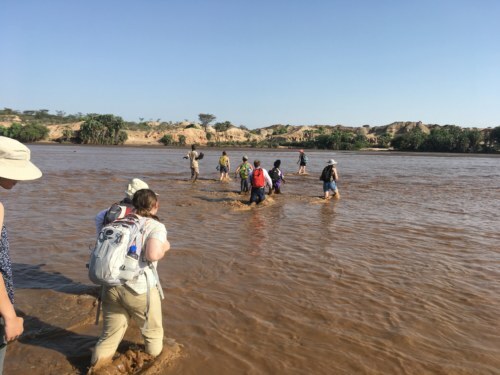 We took the rest of the day to relax and adjust to the heat, while taking in the amazing scenery and playing in the Turkwel river. 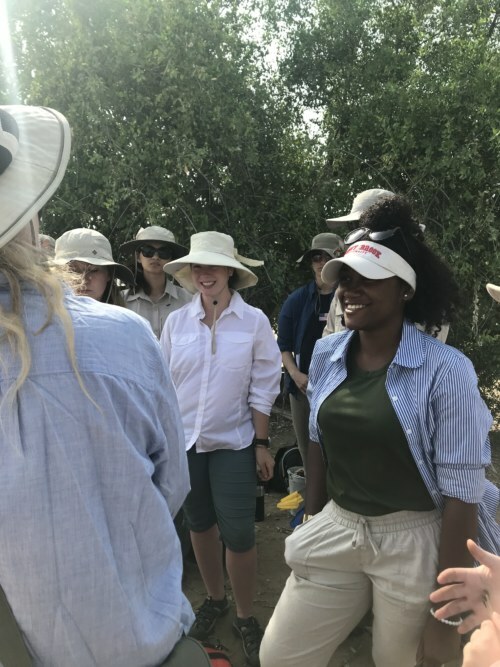 On Saturday, we started the Archaeology module, led by instructor Dr. Elisabeth Hildebrand of Stony Brook University, and assisted by her postdoc Dr. Elizabeth Sawchuck. 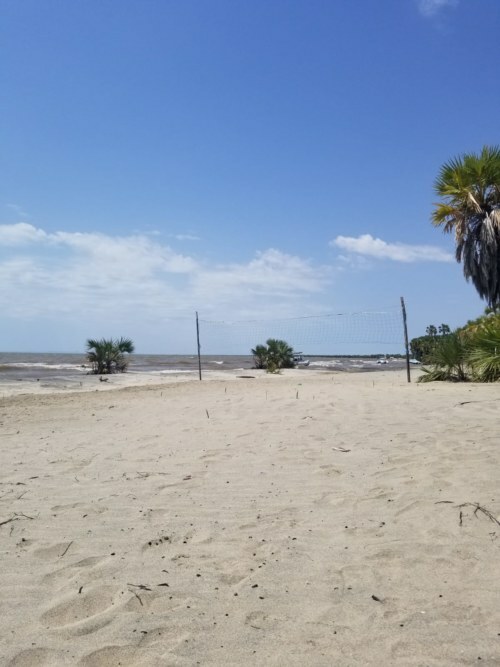 Saturday morning consisted of lectures about the archeological history of the Turkana Basin, and the people who lived here in the Early Holocene, around nine thousand years ago. 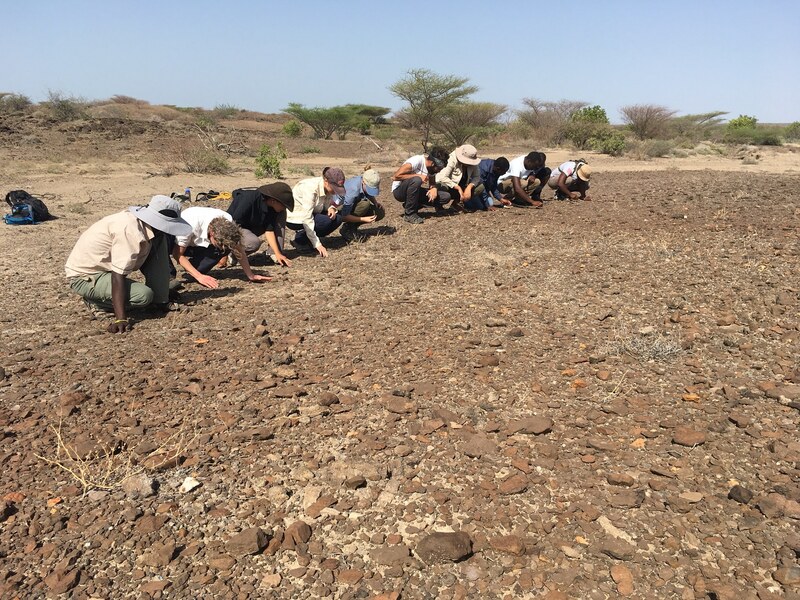 In the afternoon the students learned how to conduct an archaeological survey by participating in one around the Turkwel campus, looking for artifacts popping out of the surface and recording them on a survey sheet. 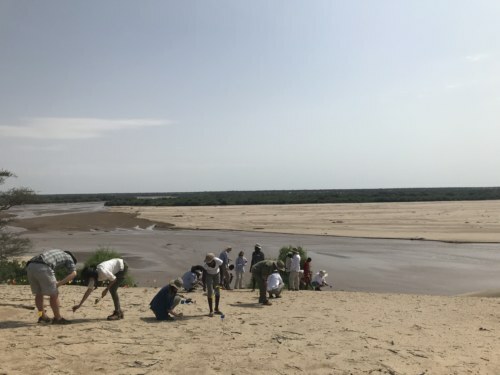 Sunday was spent learning about the first pastoralists (livestock herders) that lived in eastern Africa around five thousand years ago, preparing the students for the archaeological dig we will be participating in on a pastoralist habitation site. 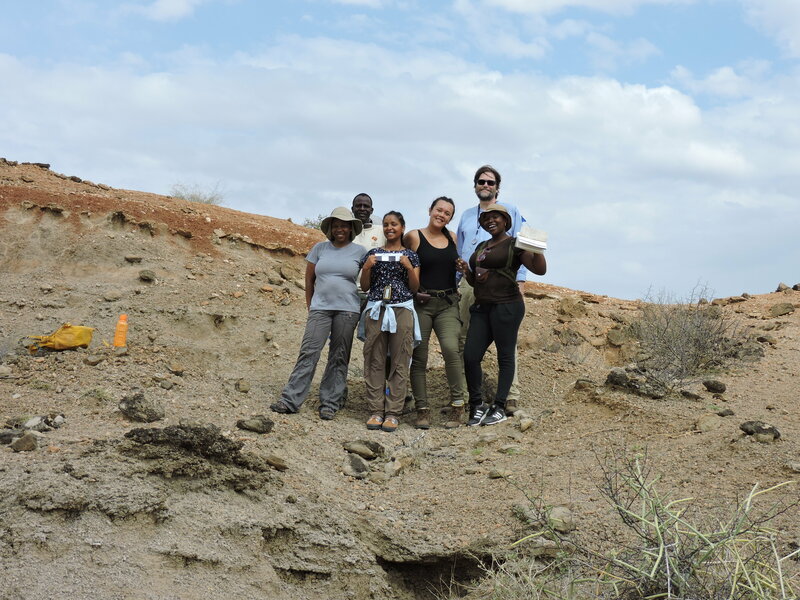 We also learned how to classify different types of sediment from around the area by their composition and color. 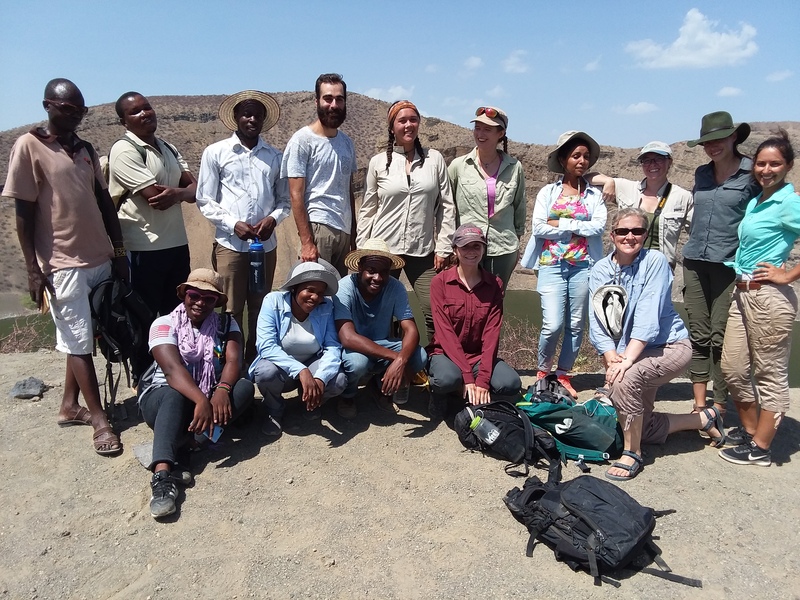 Monday the students spent the entire day at a small resort about an hour north of TBI Turkwel called Eliye Springs, soaking up the sun and playing in the turquoise waters of Lake Turkana. 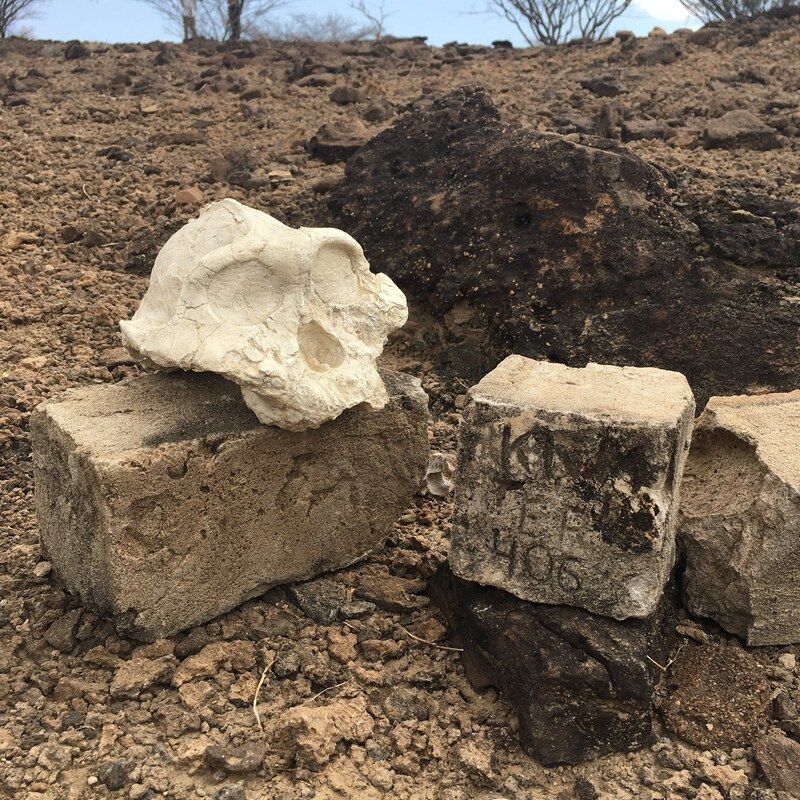 Tuesday, we began looking at the artifacts on the surface of the site we will be excavating. 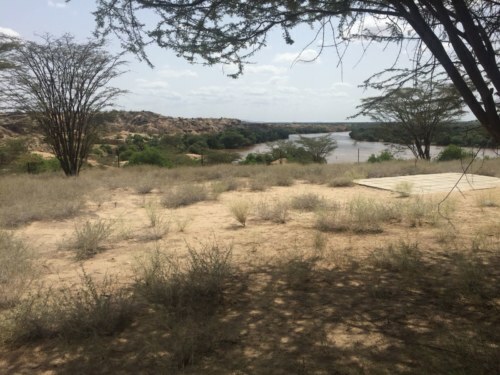 The site is called Nakwaperit, and it is situated close to a Turkana village, overlooking a bend in the Turkwel River. 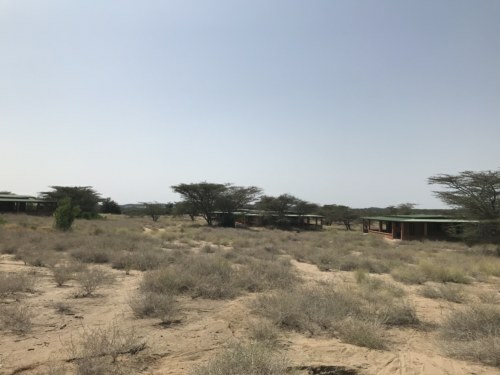 Nakwaperit is wonderfully breezy with ample trees providing shade, and it will be a lovely place to do work at over the next few days. 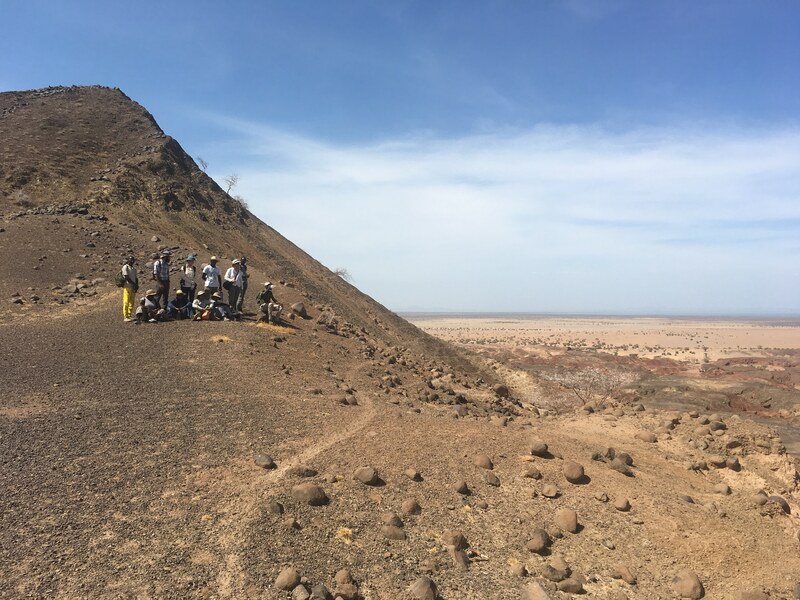 While we were there, we marked all of the pieces of broken pottery we could see on the surface of the site with flags, and then took pictures of them and recorded their locations so later on we can look at the distribution of different types of pottery covering the surface of the site. 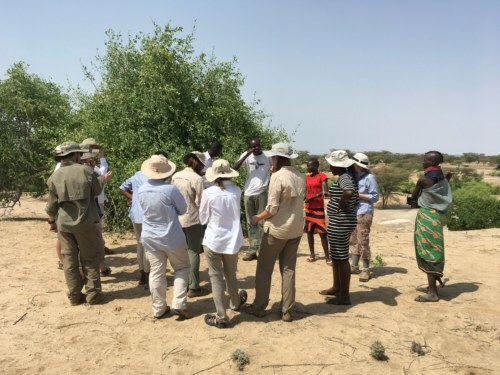 A local Turkana woman also taught us all how to use the branches of an indigenous tree like a toothbrush, by fraying the end into bristles. 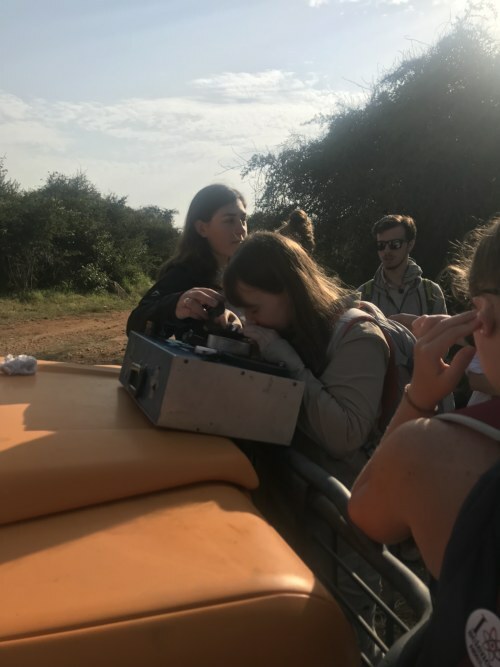 All in all, it has been an exciting week full of fun and interesting activities, and the students have learned a lot about African ecosystems and the archaeological history of the Turkana Basin. 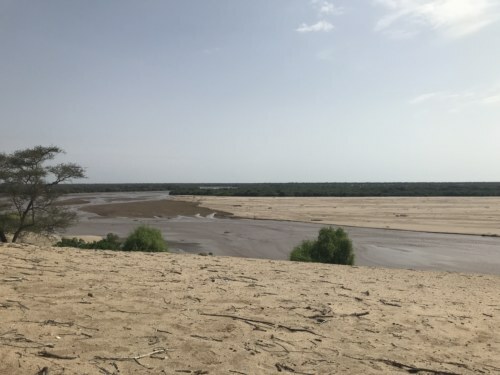 Soon we will start excavating at Nakwaperit, which will hold many more exciting discoveries about the ancient people that once lived there. 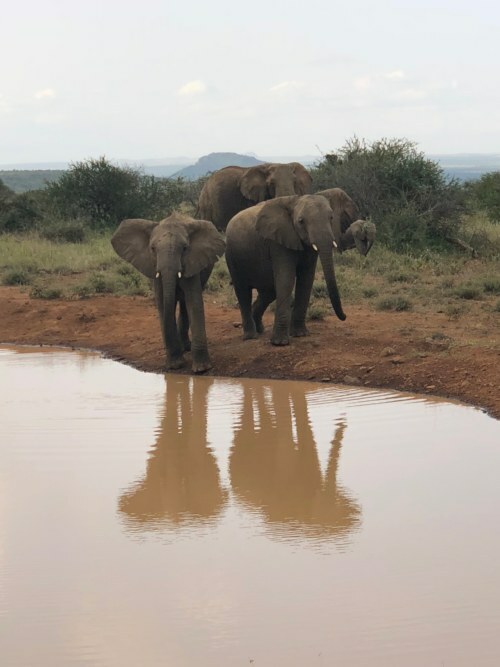 We hope you will keep tuning in to stay up-to-date on our story as it continues to unfold! 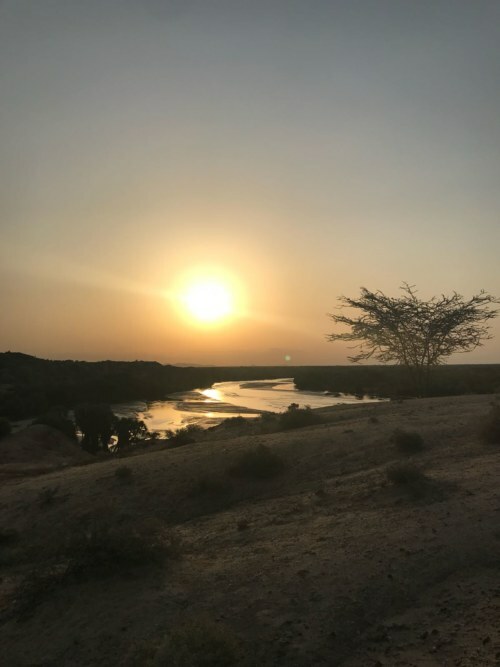 By Lydia Myers|2018-07-19T09:02:14-07:00July 19th, 2018|General|Comments Off on Goodbye Mpala, Hello Turkwel! Hello! 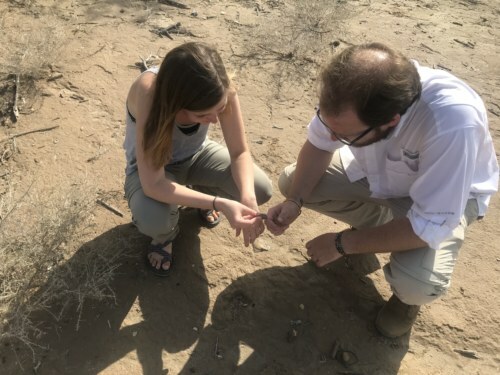 My name is Lydia Myers and I'm the Teaching Assistant for the 2018 summer field school. 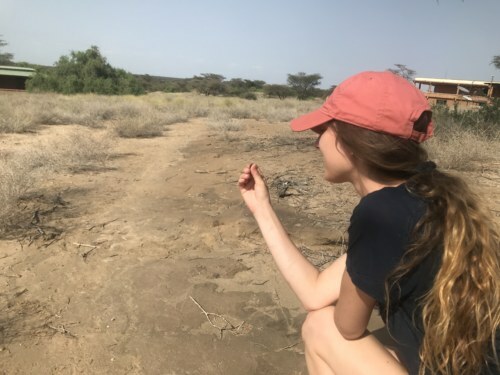 I am studying anthropology and human evolutionary biology at Stony Brook University, and I participated in the 2018 spring semester field school. My main interests are bone biomechanics, functional morphology, and human evolution.